The aim of the institution is to make its pupils cultured and useful members of society. When they enter the world, they should be able to take an active interest in the betterment of their homes and community, and when they grow up, they should be able to fit themselves usefully into the world of tomorrow. 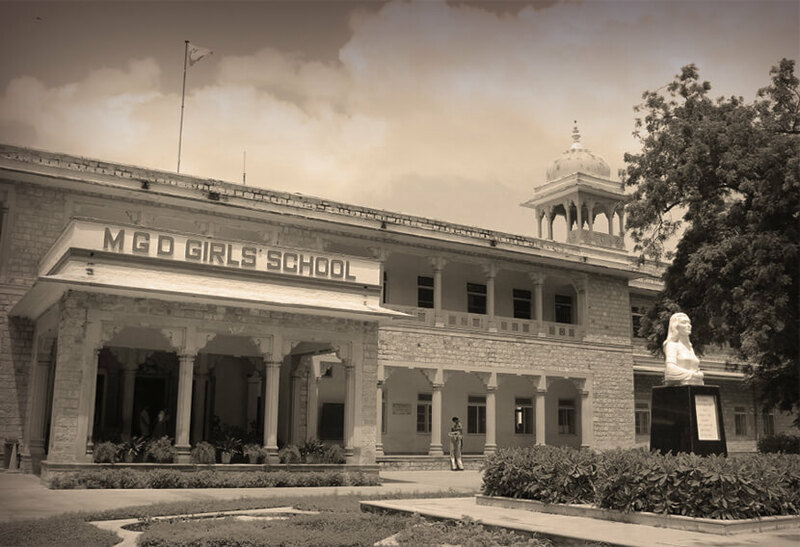 The Maharani Gayatri Devi Girls' schools, affectionately called M.G.D. was founded on 4th July, 1943, by Her Highness Maharani Gayatri Deviji. It was founded with His Highness Sir Sawai Man Singhji of Jaipur as its Patron. The distinguished Patron, Founder, the eminent Members of the Board of Governors, along with the dedication and experience of the founder principal, Miss Lillian G. Lutter. combined to establish this School from very small beginning, to the stature and prestige it commands today as a premier centre of value based education and learning. The School began on the lines of the British Public School Pattern, keeping our own cultural and traditional values intact and important. In order to mould and equip the students, then drawn from homes steeped in the claustrophobic orthodoxy of the “Purdah Age Aristocracy”, to step out into the mainstream world with confidence, and a will to do their best and face situations brought about by the winds of change that swept across the globe and India, post World War II. The ALUMNI Association of the School is called MGD GIRLS' GUILD. It made a small beginning in the early Sixties at the initiative of a senior teacher of the school Miss K Minakshi It functioned spasm vodically & eventually floundered , until the then Principal Miss S Doongaji encouraged the Alumni to make a serious effort to revive this institution in 1991. 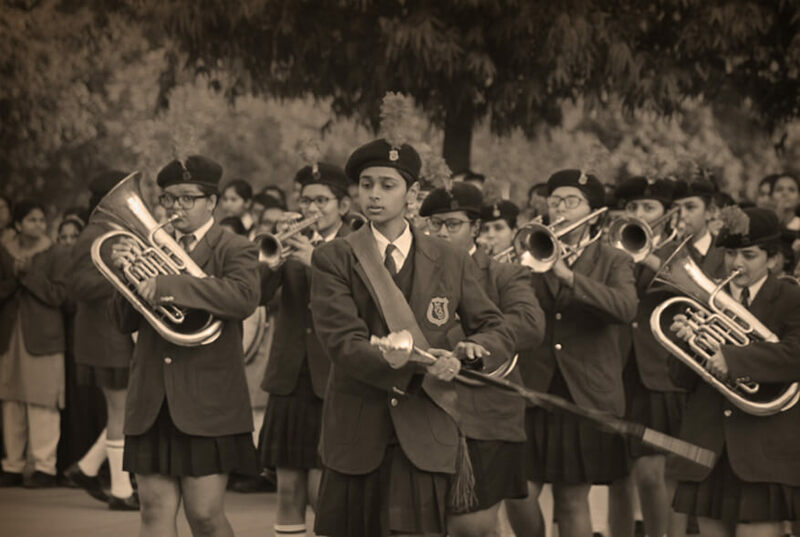 Her clarion call was picked up by dedicated & committed MGDians under the dynamic leadership of Jane H. Singh ( Prafulla Kumari, 1955 ). record of all those who have studied here. Started in 2010, ex-fine arts student Namrata Kedia’s studio glass brand is definitely one of a kind. “I was based in London, and it was during my time there that I learnt the art of making studio glass,” she says. Recently Crowned Mrs. Stylish Diva talks to us in people about how and why she participate in the Mrs India Earth Pageant. Vaishnavi won gold medal thal sainik camp. There can be nothing more rewarding then being in midst of young people and seeing them grow and learn. MGDians get together for the annual reunion and it was an evening to remember, AFTERhrs catches some lovely moments of the evening.